And thanks for the DD and all messages! Let me just say that this is quite frankly very adorable for a living time machine telephone box. 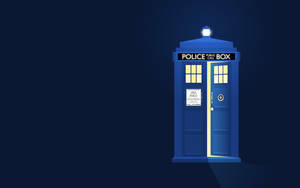 The tardis is very detailed and it really is eye catching and visually exciting for a whovian. The animation is very good and not choppy and you do the materialization and dematerialzation very well. My one note for a very slight inaccuracy is that the glow that the light at the top makes doesn't usually just spread down across the tardis it just sort of expands in a glowing circle. But other than the whole thing is very accurate and well done. Good job! 180 out of 187 deviants thought this was fair. I hear this sound !!! My brothers (especially the older one) LOVE Doctor Who. and the anime that your icon is based on. Ansatsu kyoushitsu/assassination classroom haha - I have more icons selfdone and free to use on deviantart. 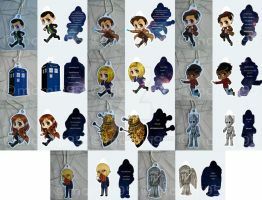 Using this and the Dalek on my page, with credit. Can I use it for a loading screen gif for a student project ? Eh to be honest I never expected something like this. I have no experience with these cases :< I guess that as long as you aren't getting commercial benefit or some kind of profit and you credit me, there shouldn't be a problem? I'd also like to see. haha idk it just is cute. sometimes i find trees cute. Can I use this for my bio please? It'll be on there, but if you want me to get rid of it then you can just tell me and I will. Is this really 150x150 pixels? Seems bigger. Awesome! It looks like a Time machine. this is so awesome!! I love the animation! This is awesome, it really looks like it could have come from a retro video game. Thanks, I'm happy you think so :3 however, as fan of some kinda old games (like 18 years ago), I know this is quite off of the style back then due to colors limit and all the stuff. I admire they could use that few colors and make things look epic.